Day 101 and we now call this home, at least for the next six weeks. We have been blessed with friends, a great church, and a lovely new home in a safe neighborhood. An added bonus is this fantastic pool that is steps away from our patio, so the kids have been enjoying a ton more time in the pool. This has also been a wonderful home in which to entertain, as it has a gas grill and cozy spaces inside. Many dinners have been enjoyed around the table, learning about this new culture, hearing tales from new friends about the history and customs of the area. We will have to share more about these in the weeks to come. Our favorite was about the Pasado at Christmastime. More on that some other day. 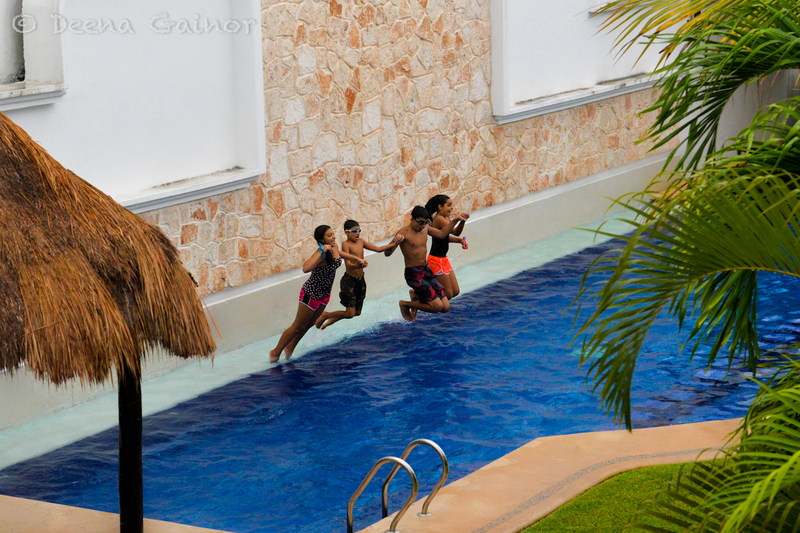 Playa del Carmen is also in rainy season right now and we have seen some fantastic, powerful storms. Truth be told, we are enjoying this season better than the hot summer heat. It’s been cool and refreshing. Apologies for not posting more, but life here has become busy, in a great way. It is full and rich and we feel very blessed. It will be hard to leave. Looks great. How we miss the strong thunder storms. It has been too long since we’ve seen one. We love strong thunderstorms as well, Nick! The clouds and heavy rain as well.